When I saw these beautiful hats by Jo at Bubala I just loved them. So so so cute! So I made my own. I made four and I let the kids choose what was on them. Two kids just have buttons on theirs shaped like books and flowers, and two have embroidered bugs. Four little caps. Sorry for the wrinkles. I had trouble rounding them all up for photos, since the kids are often wearing them. I liked the ribbon idea on the Bubula blog, so they all have a snippet of ribbon as well. The kids also chose their own ribbon. I used a charcoal grey wool coating for the hats (the same fabric I used for my Menswear Bunnies) and some polyester-cotton lining. I think next time I would use flannel though, to keep them a bit softer and warmer. These were nice and colourful though. You can just see the lining peaking out. I used bright blue and purple, also the kids’ choices. 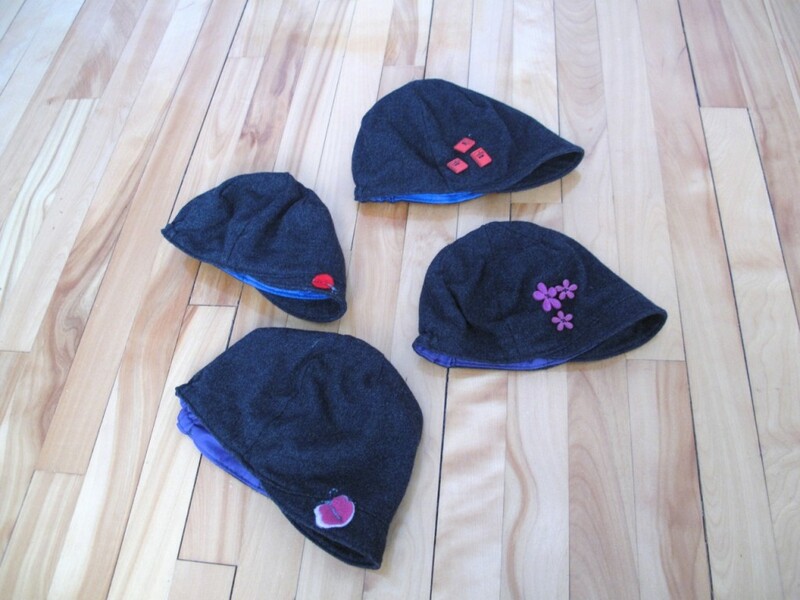 The pattern is the Little Cap by Leila & Ben, a Canadian independent pattern designer. The company sells adorable sewing and crochet patterns for kids’ clothing. The pattern comes in two sizes, 12m-2T and 3T-5T. I found the sizing to be quite small. The 12m-2T fit my three-month-old. The 3T-5T fit my two-year-old. I enlarged the pattern to 105% as Jo at Bubala recommended, and that fit my four-year-old and six-year-old. Luckily I had quite a few to make, in all the sizes, so no fabric was wasted. I found the pattern to be very good. There are only two pattern pieces. 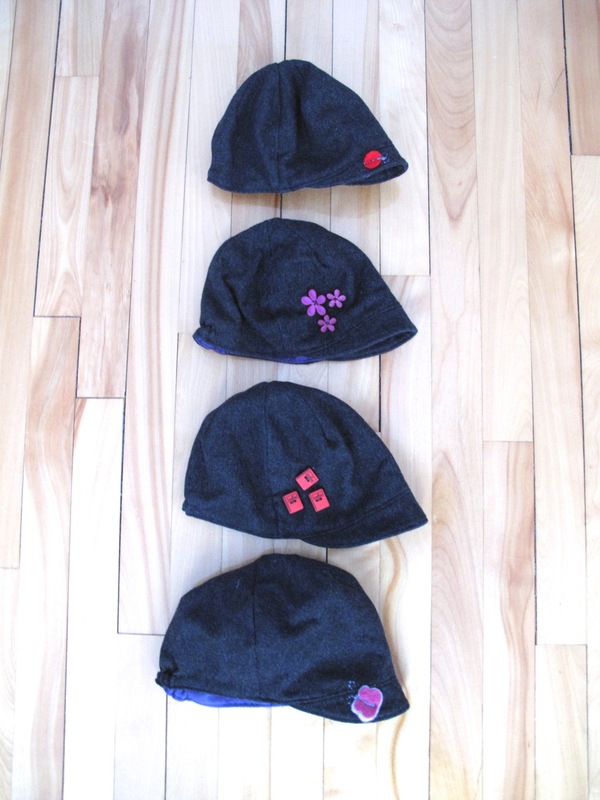 The pattern was extremely easy to follow and I was able to make all four hats in an evening. Although I made these for both girls and boys, they are perfect for Celebrate the Boy, an online initiative to share cool sewing projects for little boys, which is taking place this week and next. The kids really love them. They just cover their ears in cold weather. And I get a ton of compliments. People stop us in the street to find out where we “bought” them. I think I’ll probably make another set for summer in cotton or linen. 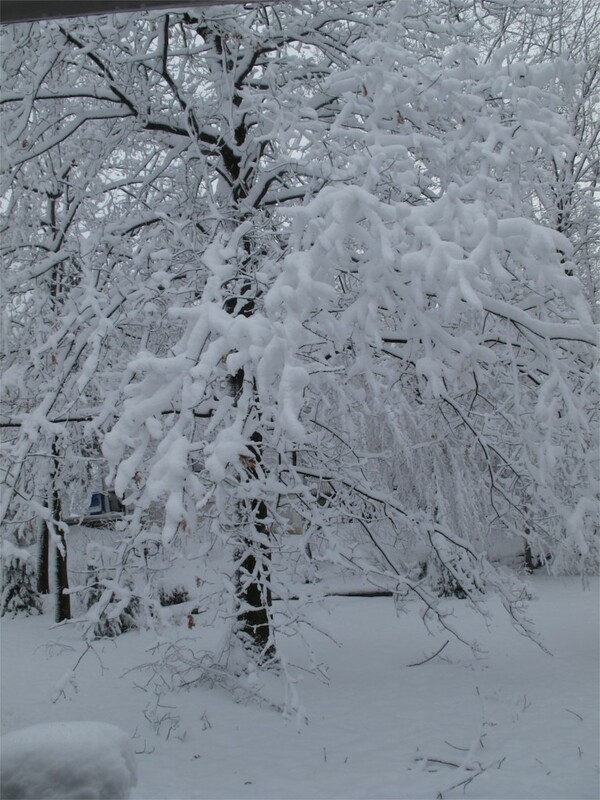 These photos weren’t taken today, because this is what it looked like outside yesterday. 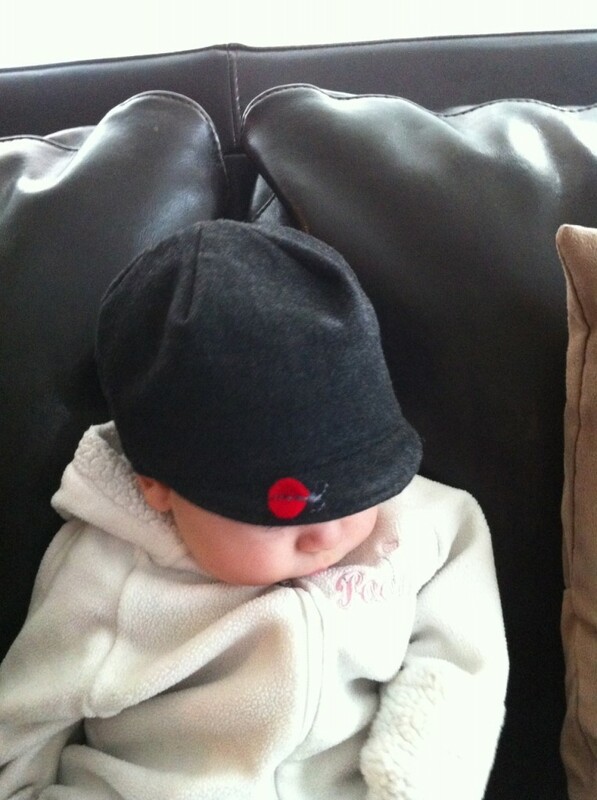 Definitely too cold for fall hats. Too cold for fall caps. 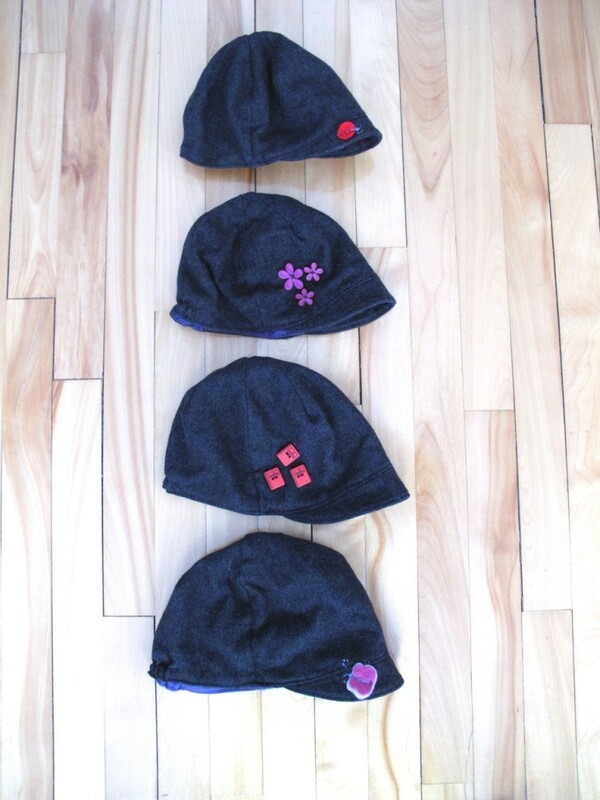 Pattern Review: the Little Cap by Leila & Ben (PDF). Fabric: charcoal grey, medium-weight wool coating. Size: 12m-2T, 3T-5T, though the hats fit small. Results: Excellent! I would definitely recommend this pattern. I had a bit of leftover wool right before Christmas. 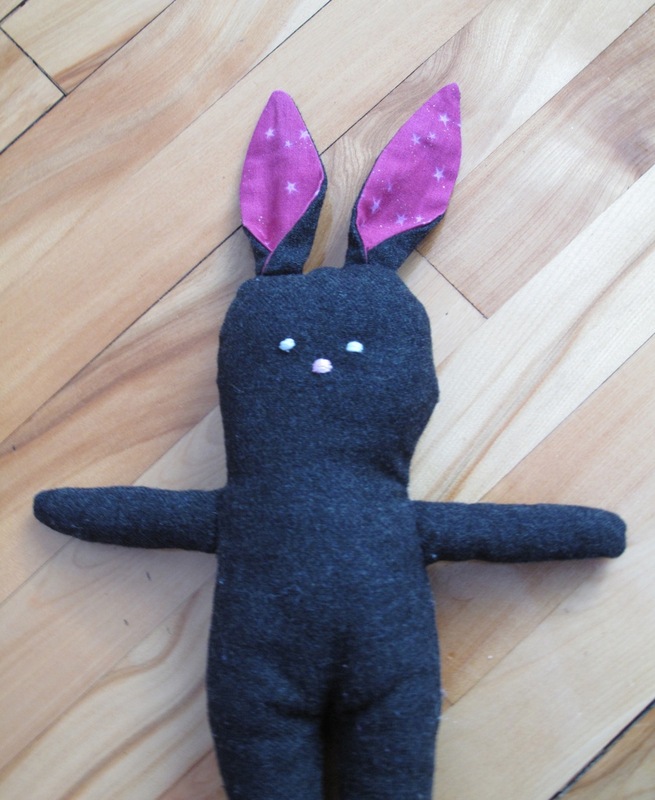 There wasn’t enough to sew any clothing so I turned it into these rabbits.